Across Europe, parties in government and opposition forces will rally support and lure voters on 22-25 May. With less than 100 days to go before the voters cast their ballot, EURACTIV presents an overview of where the balance of power lies in EU countries. Previous election results show that, when it comes to EU elections, parties in government are often punished by protest voters. 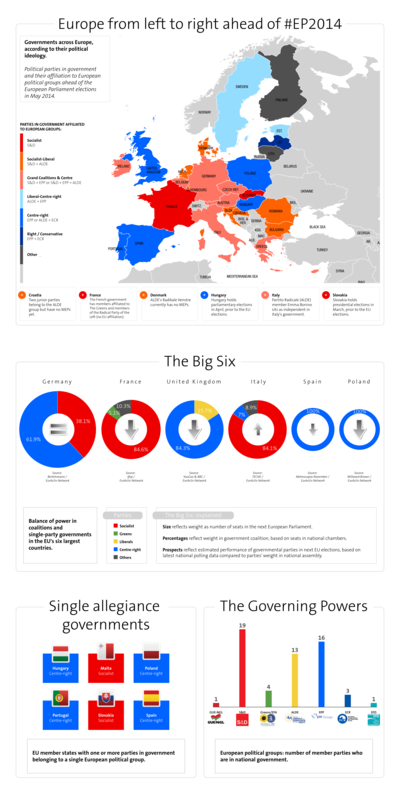 Have a look at the coalition governments, single allegiance governments and where the balance lies across Europe’s map.